Been listening to his tracks constantly for most of this week and have been extremely impressed with the material on the forthcoming 'Don't Pigeonhole Anything' EP, which will be released as a free download on the 6th April by 97Sides. Above is the radio rip taken from Corporal F's Rood.FM show of 'Close To Me', one of the stand out cuts from the 4-track collection. His production push all my buttons. Well structured and put together, great builds, warm rounded basses and completely zoned out vibes. Addicted to this EP at the moment. 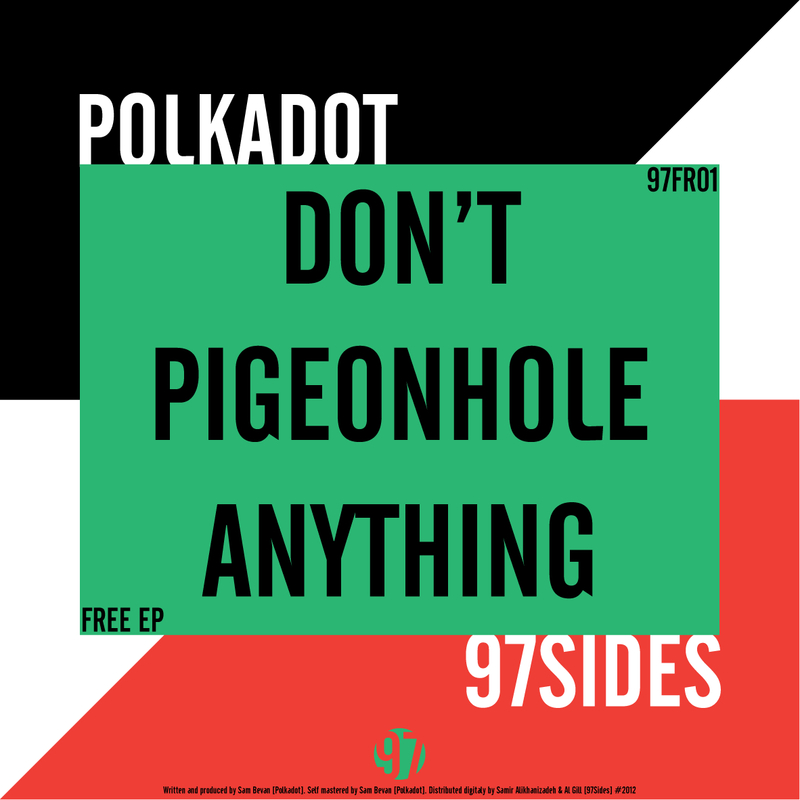 Below I've embedded a couple of Polkadot tracks, which is also up for a free download, which I've been hammering all week as well after finding it on his SoundCloud.